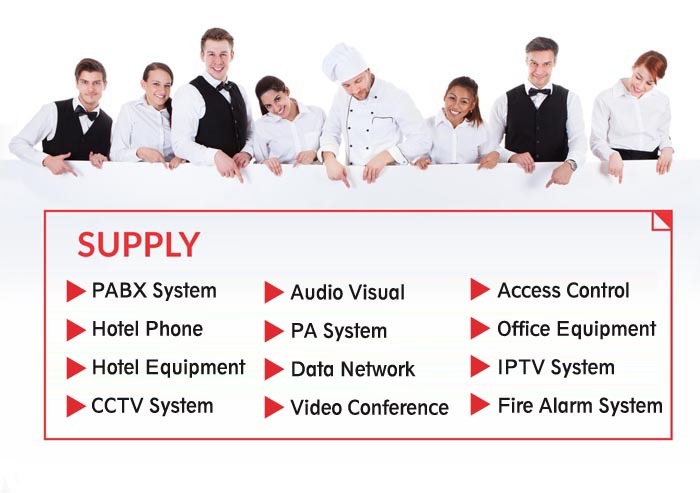 City Technology company ( CITYTECH ) is a supplier of equipment and solutions for information technology and telecommunications, especially the supply of equipment and solutions for hotels and resorts. We are the distributor of renowned suppliers like BITTEL, VTech, CETIS, Cotell, AEI, DNET, Kube, Homtime, iHomes, NJC, Alcatel-Lucent, NEC. Our clients are corporations popular hotels and resorts in the world such as IHG Intercontinental, Marriott, Sheraton, Hyatt, Novotel, Sunrise, Muong Thanh, NewWorld, Le Meridien, Amiana, Mia, Six Senses, Saigon-Phu quoc, Lotte, Melia, Ala carte ... With a staff of trained and experienced, we will fulfill the requirements of the customers.